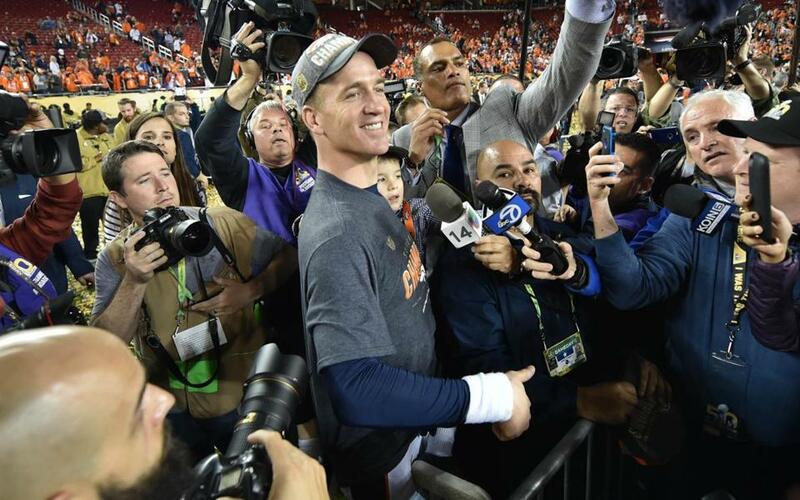 Why did Peyton Manning plug Budweiser at the Super Bowl? Companies paid $5 million for 30-second ads during Super Bowl 50. It took Peyton Manning about two seconds to accomplish the game’s biggest plug. The two plugs, both televised on CBS, created more than $3.2 million in media exposure for the Anheuser-Busch InBev brand, according to calculations by Apex Marketing Group Inc. That number will grow as the analytics firm adds the impact of overnight television coverage and social media. Manning wasn’t paid for the promotion, Anheuser-Busch head of marketing Lisa Weser said in a tweet, and it is against NFL rules for players to endorse alcoholic brands. But Manning did own a pair of Anheuser-Busch distributors in his native Louisiana as recently as two years ago, according to Beer Business Daily, which noted the connection when Manning made a similar comment after the Broncos’ 2014 conference championship. Bud Light is also the official beer sponsor of the NFL. A 14-time Pro Bowl selection and five-time National Football League MVP, Manning is the league’s highest-paid endorser, according to Forbes magazine. He makes $12 million per year off the field with partners like Buick, Nationwide, Papa John’s, Gatorade and DirecTV. “And that’s why the sponsors love him,” Dorfman said.